Commercial low slope roofing is more commonly known as flat roofing. Commercial low slope roofing is usually found on warehouses and industrial buildings in the commercial sector. Usually, commercial low slope roofing would have a slope less than three inches per foot, as per definition. Johnson Exteriors, Inc. offers commercial low slope roofing installation services in Redmond, WA for industrial buildings, commercial properties and warehouses. Not only do we install commercial low slope roofing, we also install roofing for government and residential properties. We have installed over 5,000 roofing systems in the area itself. 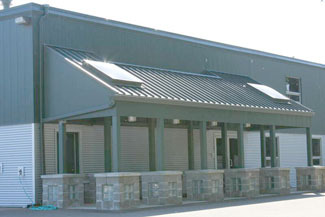 Commercial single ply roofing is the most common roofing option for warehouses and industries. Commercial single ply roofing is a time-tested roofing system. The reason commercial single ply roofing is so common is because it is affordable and very easy to install. 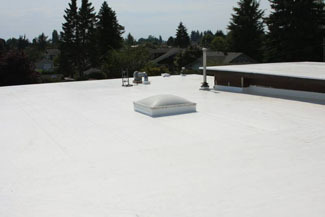 We have installed many commercial single ply roofing systems in the Redmond area. Normally single ply, including commercial single ply roofing, has 3 to 4 components. Single ply roofing details include insulation, single ply membrane, flashings and adhesive. Each and every component plays a crucial part in keeping the commercial single ply roofing safe and sturdy. Single ply roofing types are mainly TPO and EPDM. TPO is one of the most common commercial single ply roofing systems in the nation right now. One advantage TPO single ply roofing systems have over EPDM is that they can reflect UV rays. On the other hand, EPDM single ply roofing systems contain synthetic rubber, making them very flexible. If you're looking for a company to install single ply roofing systems in the Redmond region, give us a try for guaranteed satisfaction. 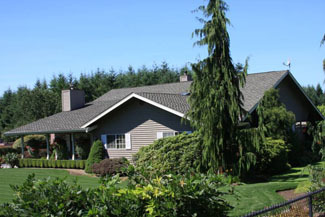 If you're looking for experienced contractors to install single ply roofing systems in the Redmond area, get in touch with Johnson Exteriors, Inc. You can call us at (360) 226-2521 for a free estimate.